Got zucchini? Who doesn’t? This prolific and tasty summer fruit is a gardener’s friend—and their worst nightmare. First time growers will brag about their zucchini crop, only to find that they can’t even give it away! 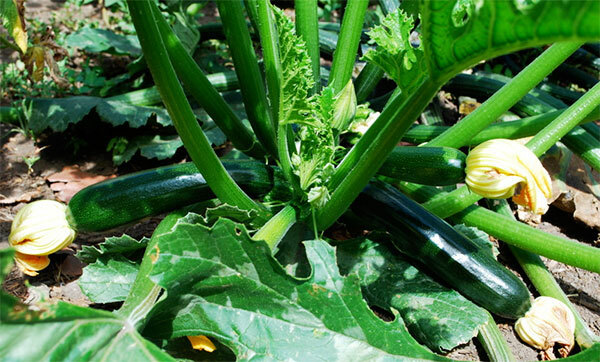 Zucchini—botanically the immature fruit of the zucchini flower—is best cooked fresh, retaining its peel. Because of its high water content, it does not lend itself well to freezing or canning—thus creating a problem for consumers with an overabundance of the crop. Indeed, popular folklore warns against leaving your car windows open during zucchini season, lest you come back to find it filled with the troublesome squash. It even has its own national holiday—August 8 is “sneak some zucchini onto your neighbor’s porch day”—an opportunity to share your largess with less fortunate individuals. Frankly we think the green (and also yellow) squash has gotten a bad rap. We’d like to do what we can to sweeten its reputation. Zucchini is a great source of potassium, providing about 14 percent of your daily requirements in one medium fruit. Fresh fruits are an excellent source of vitamin C providing 58% RDA. Zucchini contains no fat or cholesterol, almost no sodium and one medium fruit contains about 33 calories. Sliced and eaten fresh, zucchini is a dieter’s dream! And the overabundance? 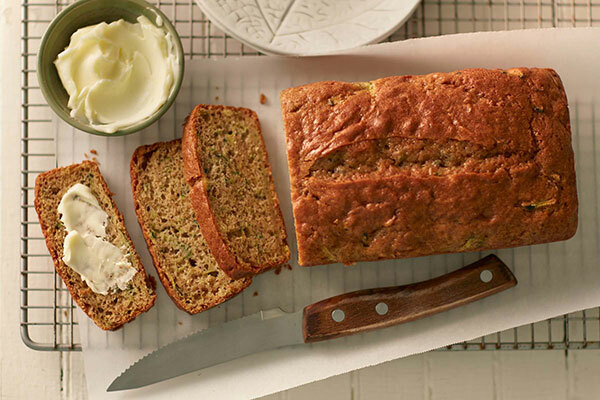 Zucchini bread can be cooked and frozen for later use. Or try our recipe for zucchini relish, a flavorful alternative to traditional pickles. Bon appetite! Place the zucchini and onion in a large, plastic bowl, and sprinkle with canning salt. Mix. Cover, and refrigerate overnight. Drain the zucchini, and rinse well with cool water. Squeeze out excess water. Place the red and green bell pepper, sugar, vinegar, and cornstarch into a large pot. Add the dry mustard, turmeric, celery seed and pepper. Stir to combine; add the drained zucchini. Bring to a boil then reduce heat to medium-low. Simmer 30 minutes. Meanwhile, sterilize jars and lids. Pack hot relish into sterilized jars, making sure there are no air pockets. Fill jars to ¼ inch from the top. Screw on lids. Cool. Check seal once cool. Refrigerate any unsealed cans and use within 3 to 6 weeks. Great with brats or hot dogs!